The 2-year Master’s program in Urban Studies combines rigorous academic research with intensive field-work. The program is situated at the trans-disciplinary crossroad of critical urban studies, urbanism and urban planning, architecture theory, sociology and urban ethnography. Our students have previous academic background in architecture and/or humanities. Integrating critical interrogation and experimental practice, the program has a triple focus on social uses, spatial programs and urban forms. The form of assignments includes term-long research studios, intensive workshops, lectures, seminars, and field trips. The distinctive mark of the Master in Urban Studies is its reliance on theoretically informed action in the field. We take students’ effort seriously: the program engages ‘real’ actors and create opportunities for public presentation, discussion and publishing of best works. The Master’s program is fully in English and it has a strong international orientation. We cooperate with a network of partner institutions in Europe and we are connected to regional partners in Finland, Baltic countries and Russia. Curriculum includes number of workshops and lecture courses by international scholars and practitioners. Students also participate in hosting the annual international conference Urban and Landscape Days in Tallinn. The education prepares students to engage with urban issues at the intersection between design practice, political practice and theoretical knowledge. The program prepares graduates for further study at the PhD level. As events and transformations of the recent decades have forcefully shown, the urban question permeates all major social, economic, and political developments of today. The interdisciplinary Master’s program in Urban Studies critically engages with the wide-ranging manifestation of contemporary urbanity, integrating knowledge from urban studies, urbanism and urban planning, architecture theory, sociology, urban ethnography and geography. Contemporary urban situation is studied as a multifaceted phenomenon, which cannot be understood from a single disciplinary perspective. In preparing students for understanding and intervening in urban space, the dual character of city as a built form and as a social process is emphasized. The program leads students to have an insight in the dynamics of institutions, actors, and conflicts that shape today’s cities. The mission of the English-speaking Master’s program in Urban Studies is to understand and analyze contemporary urban problems and act upon these problems in terms of design, policy, activism, and research. The education prepares students to engage with urban issues at the intersection between design practice, political practice and theoretical knowledge (urban design, urban and spatial planning, state and municipal policy making, public expertise, community advocacy, social activism, academic and practice-based research). The Master’s program offers regular guest lectures and lectures courses by international scholars and practitioners. The element of interactivity is important and students often work in small groups. Intensive urban fieldwork is complemented by regular consultations with teachers. • annually changing workshops and courses on topical themes, which are shared between first and second year MA students, helping the two groups to integrate. • 2nd year, spring term: Master’s thesis. You can see some samples of work done by students in the previous years of the Master programme. The process of selecting prospective students has two rounds. In the first round, the applicants are assessed based on the submitted portfolio of written and/or design work and the CV. In the second round, in-depth interviews are conducted with prospective candidates. For details on the application proccess and the required documents, go to the Admissions section. 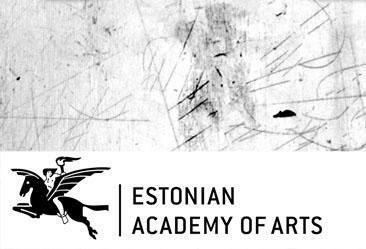 Many stipends and study grants are available for the students from the Estonian Academy of Arts. Furthermore, Ministry of Education and Research of the Republic of Estonia and Archimedes Foundation annually offer scholarships to foreign nationals, pursuant to bilateral intergovernmental or inter-ministerial agreements concluded with the following countries: Azerbaijan, Belgium, China P.R, Czech Republic, Denmark, France, Georgia, Greece, Hungary, Israel, Italy, Kazakhstan, Latvia, Lithuania, Moldova, Poland, Switzerland, Turkey and Ukraine. For more information on the stipends and grants, go to the Tuition & Financial aid section.